Philips SHP 1900 is one of the budget headphones by Philips it's just around 10$ and looks kind of okay for that price, it's a over the ear style headphones, I have been using then for the past 7 months and had a very good time with it. 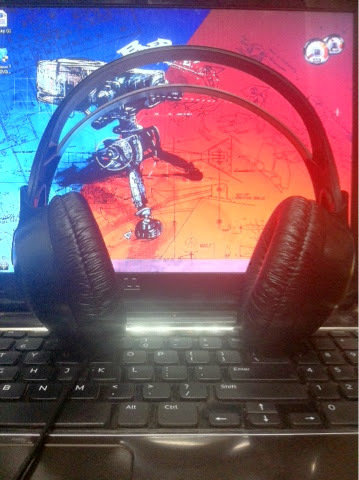 Philips is a company which gives some great product and i would say Headphones are not the best of them. When we see even the higher end models lack to give some good exprience but i was surprised to see this SHP 1900 which had a good quality on it. We love reviewing products just because we help you know more about it, here is our review of the Fitbit Flex. Philips SHP 1900 is an over the ear headphones with the following traits. I have to give some credits to Philips for the design of the SHP 1900 they look so solid and are very impressive when you first look at it. There is no head cushions which makes it hard to wear for a long time, at times you may feel it is pressing your head. The padding in the ear cups are fairly good and give you a better feeling when you wear it and i must warn, you can not wear it more than 3 hours on a stretch, it would make your ears uncomfortable. The audio performance from such a low end headphone is so great, it gives out the right amount of highs and lows, but unfortunately the mids just disappear in the mist, i hate when headphones just ignore the mids and just blow up the lows and highs. If you are a audiophile like me then you will not like the quality so much, but for a normal person who would settle for decent quality of audio you would appreciate the headphones for its price. The SHP 1900 has a 3 meter long cable which is huge even when you use it in a desk, the headphones are light weight, this allows it to be used for more time. The 3 meter cable also helps us to move freely when it is connected to the jack. I would say you can use the headphones for 3 hours continuously without any problems. Well i would love to give a final verdict in here by saying go for the Philips SHP 1900 if you are so short on budget and you want a decent over the ear headphones in the 10$ price range. If you are a audiophile, i would never advice you to get this. Hope the review had information you wanted, please like it and share it with your friends and do share your love for us by commenting on the post.